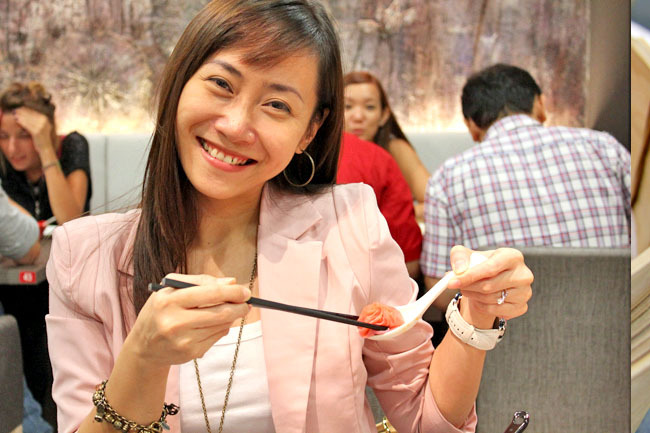 Crystal Jade has ventured into Jiangnan cuisine, again. 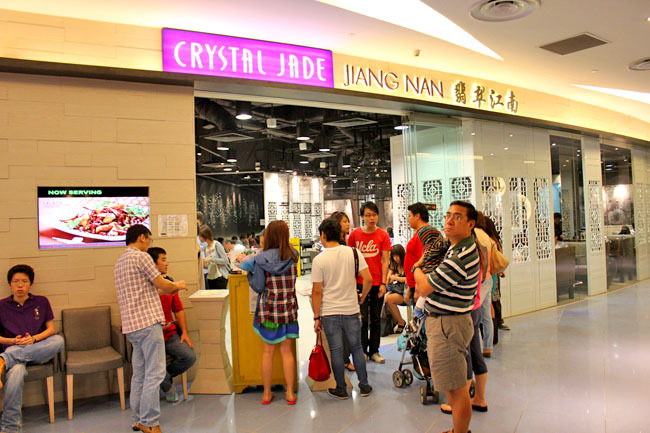 While most may think that this concept at Vivocity is new, Crystal Jade once had Hui Cui which serves Shanghainese food, and Jiang Nan Cuisine at Ngee Ann City – with some of the popular menu dishes still remaining. Jiangnan food? How many of you can name any? The famed Yangzhou Fried Rice should be considered as part. Crystal Jade Jiang Nan’s definition includes the four styles of Sichuan (川菜), Jiangsu (苏菜), Hunan (湘菜) and Shanghai（上海）for this new restaurant. I am a huge fan of Crystal Jade, whether it is the Cantonese style Crystal Jade Kitchen, Shanghainese style Crystal Jade La Mian Xiao Long Bao, or bakery My Bread. However, Jiang Nan feels a little all over the place, without a definitive style, more on gimmick than nom. You see why I can hardly use the word “authentic”. All at my table were impressed by the Milk Tea in Hong Kong style ($4.50), said to be “super cold iced”. 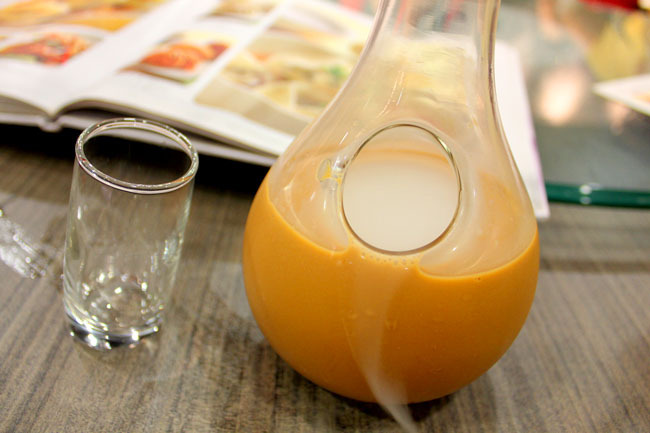 I liked the taste, as most were more intrigued by the vase-like container with an opening in the centre – where dry ice mist flowed out. Wait, I have already seen this years ago at Crystal Jade Hong Kong Café at Orchard Central. 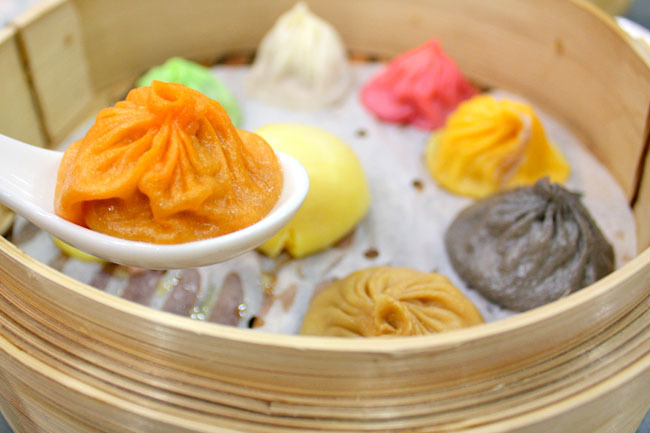 Crystal Jade Jiang Nan serves the Multi-Flavoured, Multi-coloured Xiao Long Bao ($14.50) too! Wait, is this an authentic Jiang Nan cuisine, or a rip-off from Paradise Dynasty’s version? Coming in similar flavours such as foie grras, cheese and black truffles, the difference is you can mix and match, and there is a custard bun in the middle. I know the question you will ask – which is better? While I still enjoy Crystal Jade’s, Paradise Dynasty’s dumplings have a more distinct flavour in each, while Jiang Nan’s versions are more muted. The original are fine. Also, one or two of the Xiao Long Bao arrived badly wrapped, with the inner broth spilled before we even got to taste them. 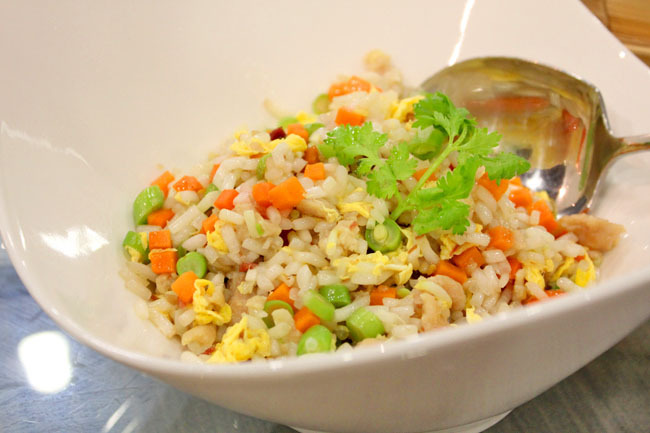 A must-try dish is the “Not a Fried Rice” ($12.80). 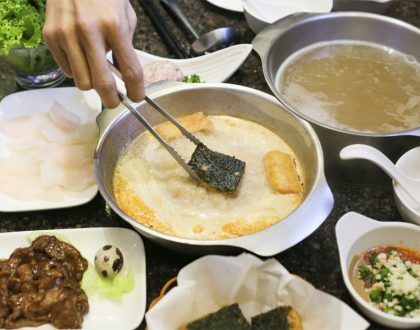 Though I neither tasted nor heard of it prior to this experience, this legendary dish was said to be passed down since the Qing dynasty, where the emperor wanted the chef to make fried rice without using rice. Kind of a huge challenge, yah? The clever chef eventually copped up bean sprouts small bits, and sautéed it together with diced ham, egg and vegetables. It looks like fried rice, smells like fried rice, tastes a little like fried rice, but is actually a dish of ‘taugay’. With all that effort, I must say this is a simple yet appetizing dish. The Shanghainese style La Mian dishes are also worth savouring, especially the one with the chicken broth. 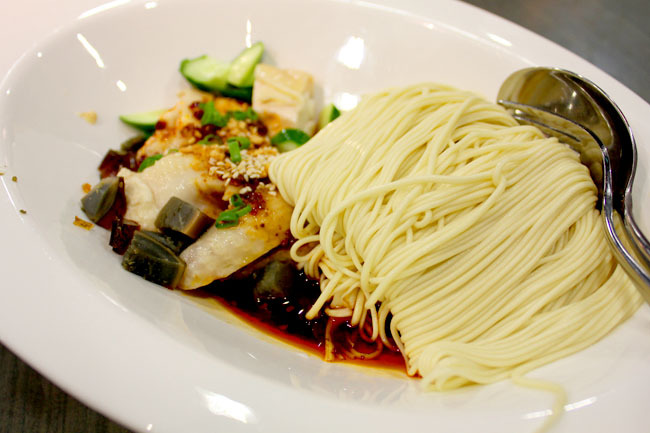 And there are 8 types of noodle varieties you can choose from in terms of length and breath. I am still a Crystal Jade fan, and would likely to return to try more of their Shanghainese dishes – something they are really stronger in. Looks good. Shall try it some day.